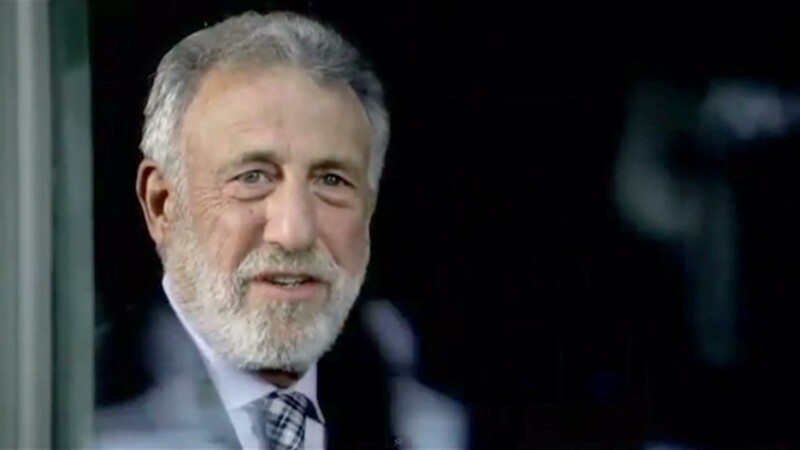 Men's Wearhouse executive chairman George Zimmer has been "terminated," the clothing retailer said on Wednesday. Zimmer opened the company's first store in Houston in 1973. He's been the bearded face of Men's Wearhouse (MW) in television ads for years, famously promising men, "You're going to like the way you look. I guarantee it." The company's press representatives declined to say why it fired the the co-founder. "The Board [of Directors] expects to discuss with Mr. Zimmer the extent, if any, and terms of his ongoing relationship with the company," the retailer said in a prepared statement. But in a statement issued by Zimmer Wednesday, he said he was fired because of disagreements over the direction of the company. "Over the past several months, I have expressed my concerns to the board about the direction the company is currently heading," said the statement. "Instead of fostering the kind of dialogue in the boardroom that has in part contributed to our success, the board has inappropriately chosen to silence my concerns through termination as an executive officer." Men's Wearhouse also postponed its annual shareholders meeting, originally scheduled for Wednesday, "to re-nominate the existing slate of directors without Mr. Zimmer." The company's board of directors includes life and health guru Deepak Chopra. Zimmer's image was still all over the company website on Wednesday morning, featuring Youtube links to his commercials, and a timeline explaining how he started the chain of stores. There was even an online feature called "Ask George," where customers can send him fashion questions or comments. CNNMoney sent a question to Zimmer via this web feature asking why he was fired, but there was no immediate response. Zimmer owns 3.6% of the company's shares, making him the largest single shareholder, according to Lionshares. The stock closed down 1.2%. In an interview with Fortune magazine in 2010, Zimmer explained how he got into the clothing business in the 1970s, selling suit samples out of his car trunk to department stores before opening his first Men's Wearhouse. He said his chain rents out one out of three tuxedos in the U.S. and Canada. He also said that he and the ad agency Red Ball Tiger came up with his "I guarantee it" slogan in 1997, targeted at men who were self conscious about their appearance. In a separate interview with Business 2.0, he said he doesn't run criminal background checks on prospective employees, but still loses less revenue to theft than other retailers. "I believe in giving people a second chance," said Zimmer, a recovering alcoholic.